Martha is a sociologist by profession and has a postgraduate degree in project formulation and evaluation. She has participated in courses and trainings on political advocacy with an emphasis on the rights of girls and adolescents (currently a Girls Lead Scholar), counseling skills in contraception, sexual and reproductive health, intrafamily violence, citizen participation and community communication in health with emphasis on radio production. 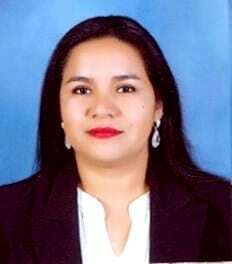 She has been part of the staff of Fundación Mujer y Desarrollo Económico Comunitario – FUMDEC for 4 years, working in positions such as Social Technic, Project, Promotion of the exercise of economic rights and citizen participation of women and young people, among others.